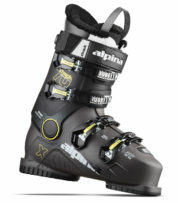 These Alpina XTrack 70 Black skiboard boots are really comfortable, especially compared to the fit of most alpine ski boots. These feature an anatomical footbed and ergonomic shell with micro-adjustable caches making it easy to get just that right fit. 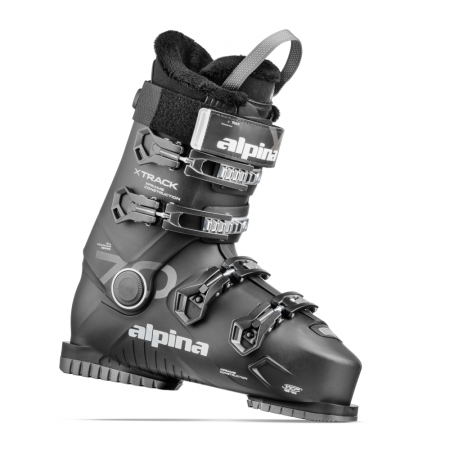 Introducing the new Alpina XTrack 70 Skiboard Boots Black for the 2018/2019 season. 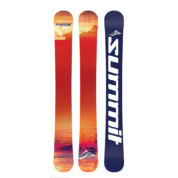 We consider these the ultimate skiboard boots with so many perfect features that sync with having a great day on skiboards. We’ve carried Alpina boots for years and continue to be super happy with their quality, comfort and performance. 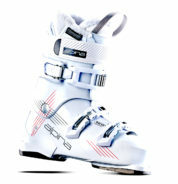 These are beautiful looking skiboard boots (online photo doesn’t do them justice).